This year, all the dudes in my life got some shaving soap for Christmas. I’d run across a few different recipes in my research, but what really clinched the deal was finding a fragrance oil that smelled like shaving cream (which, as everyone knows, is one of the best scents on earth). 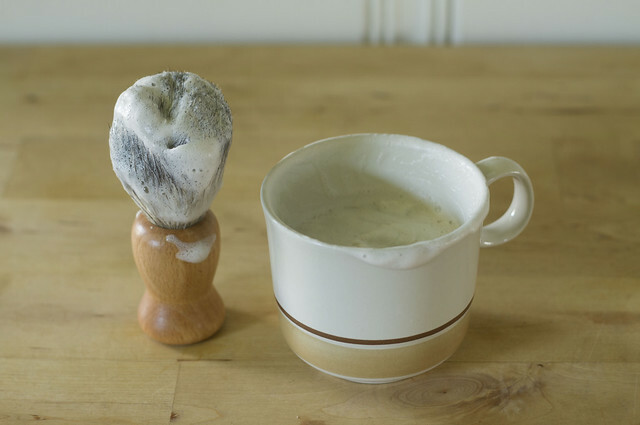 I used this recipe (but subbed shea butter for the cocoa butter) and poured the soap into thrifted mugs. It got a month-long cure, during which time my dining room was filled with the essence of barbasol. I was almost sad I had to give it away, but I’ve got plans in the works to make a batch of shaving-cream-scented soap just for me. 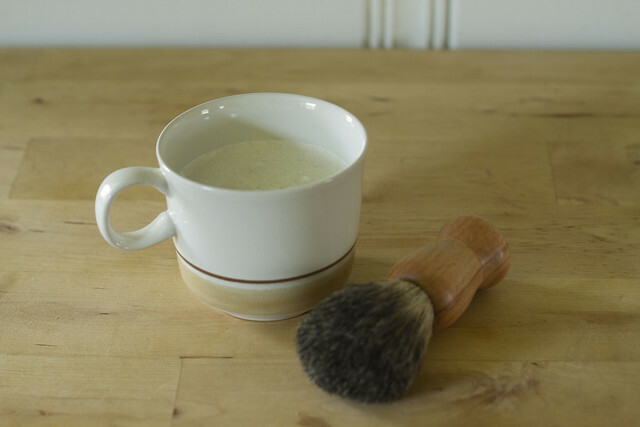 Each mug was paired with a badger-hair brush for working up a rich, creamy lather. Posted on January 9, 2016 by Jessica This entry was posted in Soap. Bookmark the permalink. Your blog is still so awesome! I love it!